We won our final game. We were the “winners of the losers bracket” as we so lovingly said to one another yesterday around noon as we were staggering off the ice. Well, my teammates were staggering…I was limping. This case of “lace bite” has got me down and out. I was almost in tears, sitting on the bench, during the first period. But you know what? I didn’t go to Minnesota to ride the bench. I suffered through as much skating and hustling as I could…and I do mean suffered. Pain is weakness leaving the body, right Nicole? We treated ourselves to a “local fare” lunch after our game and shower. Supposedly, we needed to try a “Juicy Lucy” (a cheese-stuffed burger). We didn’t get around to that, but we did enjoy burgers at this great little pub called Bulldog in Minneapolis. The girls chose tater tots to accompany their burgers, but me? I’m just not a tater tot fanatic like most. (By the way, I think tater tots are wildly popular in Minneapolis – who knew?). I know *gasp*. Nope, no tots for me. 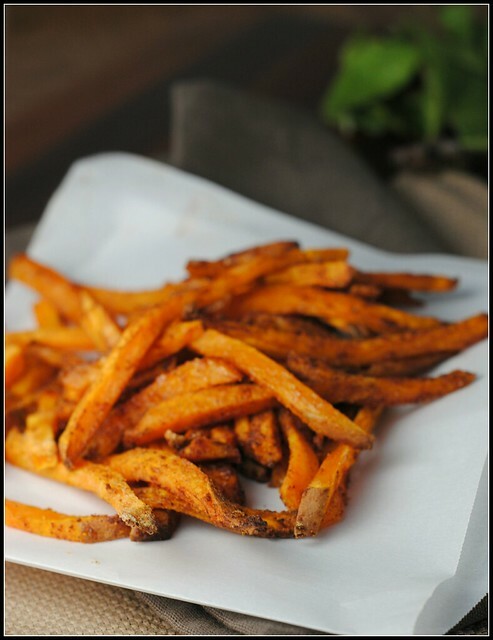 I much prefer fries for a splurge…sweet potato fries preferred. The problem with -baked- sweet potato fries, however, is the lack of crunch. 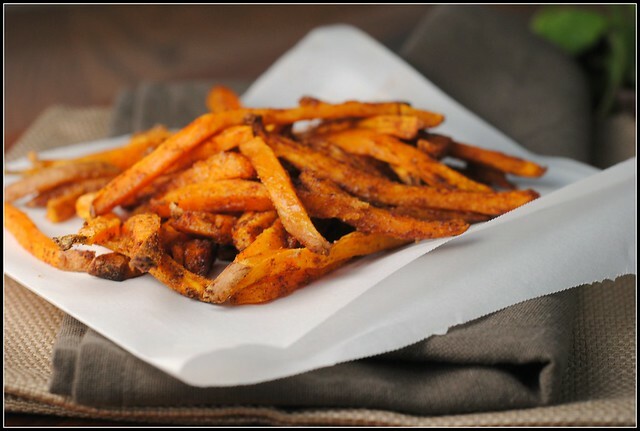 Personally, the crunch is what I love about fries and achieving crunch without deep frying can be rather tricky and trickier yet with the sweet potato more than the traditional baker or russet. I scoured the internet for the tricks of the trade behind a perfectly crisp sweet potato fry recipe. I think I found one solid suggestion — the addition of cornstarch. 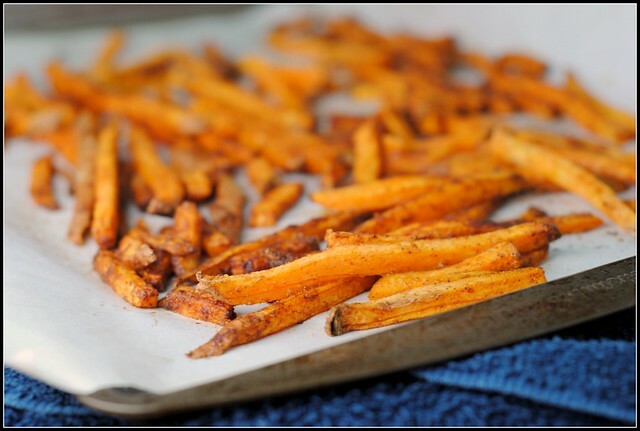 When the heat from baking meets the natural sugars of the sweet potato, moisture is released making the crisp texture hard to achieve. Cornstarch, however, helps to absorb some of that moisture while the olive oil helps bake to a crisp and perhaps more importantly, bind the seasonings to the potato strips. Crispy sweet potato fry lovers rejoice! Preheat oven to 425 F. Line 2 baking sheets with parchment paper and lightly mist with olive oil cooking spray. Toss the cut sweet potatoes with the cornstarch to coat evenly. Add olive oil and toss again. Add the seasonings and salt; toss well. Bake the fries 10-15 minutes, remove and flip fries. Bake an additional 10-15 minutes and serve hot. Result: The cornstarch on these help to keep them crispy. 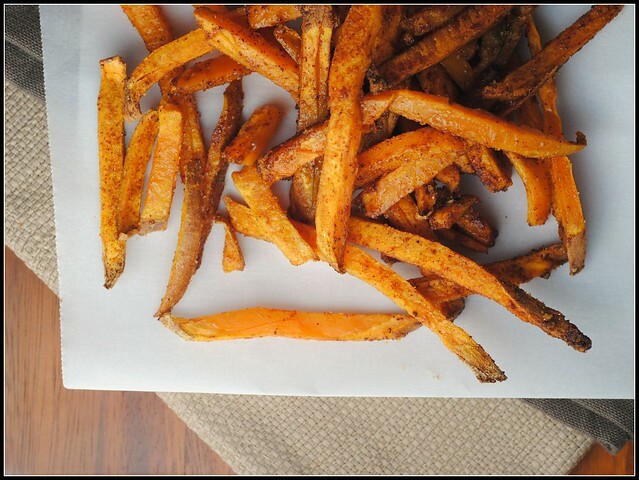 The key to sweet potato fries is to cut them thin — a mandoline is very helpful for this task. Be sure to flip the fries half way through baking and adjust your seasoning to suit your preference. Enjoy! No menu this week because I’m traveling. I’ll be in Cleveland speaking at the Cleveland Dietetic Association on Tuesday night…so excited, and honored! See you in OH…my old stomping grounds! How thin is thin? Last time I made sweet potato fries (from the honey dijon salmon recipe), i cut them about 1/2 centimeter thick and 15 centimeters long, and they were *very* easy to overcook besides being hard to flip and not-crispy. I absolutely love the chili powder on them so I snarf them down anyways-I see a lot of recipes with brown sugar and cinnamon and thats just too…Thanksgivingy? And sweet. I LOVE sweet potato fries! Whenever I make them, they aren’t crispy – it makes sense that cornstarch would do the trick! Agreed, I’d take sweet potato fries over tater tots any day! Interesting cornstarch trick. Will have to try this, thanks for sharing! Just discovered your site. My girlfriend and I are making the Chicken in a Tomato Broth over Couscous recipe tonight. Enjoy Cleveland (where I am residing currently…. It’s still chilly here for sme reason.. But sunny. I’m gla you enjoyed Minnesota. YES there are over 10,000 lakes! Lake time is a common pastime in the summer. Ohhhhhhh…cornstarch!!! I always wondered why I couldn’t get my sweet potato fries to be crispy. Thanks for the awesome tip! Can’t wait to try it! Well, at least you guys can call yourself winners! Glad you had fun. And hope your foot feels better – I bet that’s painful! And it pisses Tony off when I order SWEET POTATO TOTS! Yep, they have those in our neck of the woods and they are amazeballs! Ooo! I must try nutritional yeast on them! I’ve been trying out sweet potato recipes lately so I decided to try these immediately. The corn starch makes them crispy and the salt/seasonings make them delicious. 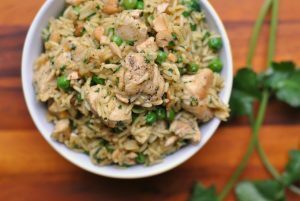 Definitely a must try, thanks for the recipe! How is it “healthy” to take something that has less than one gram of fat per cup, a food that is essentially fat free and MAKE it into something that has 30% of it calories from fat???? The fat that you eat is the fat that you wear. FAT IS FAT. I prefer to respond to productive comments, but yours has so many incorrect facts, I must reply. Firstly, the idea with fries and these being healthier is in the fact that they are baked, using unsaturated, heart-healthy fat, versus deep-fried. 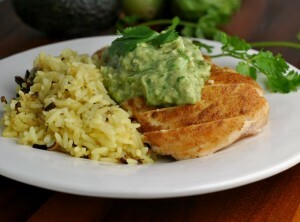 Second, 30% of calories -should- come from fat in the diet — 30-35%, to be exact. Lastly, “eating fat does not make you fat”…eating too many calories cause weight gain. Do you think another starch would work, like potato or tapioca? We generally avoid corn. Marci: I think it would work, yep! Are the sweet potatoes un-peeled? Thank you. Yay! So glad you enjoyed, Rachel!